Oprah Winfrey faced relentless competition in the late 1980s and early 90s talk show market. She realised that what kept her and her team’s focus and edge was “staying in their lane” and not worrying about the rest of the field. It allowed her to move her show from tabloid material to the spiritual and positive lifestyle territory she is best known for. Oprah Winfrey today is media royalty, the billionaire head of her own media conglomerate with access to virtually anyone. But long before she had achieved her current status, she was a television host in a constant struggle to remain relevant and fulfilled. Winfrey’s eponymous daytime talk show entered national syndication in 1986, and soon became the No. 1 daytime show in the United States. It followed a format pioneered by Phil Donahue, and millions of viewers were drawn to Winfrey’s personal touch on tabloid topics like marriage scandals and unusual romantic relationships. By the early ’90s, there was a seemingly endless supply of new competitors with their twist on the same format, from Ricki Lake to Jerry Springer. At some point during this period, Winfrey explained, she understood that closely monitoring the competition would distract them from what they needed to do to produce a No. 1 show. She told her team that they had to be like race horses, with blinders on either side of their eyes so that they could only look ahead at their own lane. Ahead of the 1994 season, Winfrey decided that while she had succeeded in producing a show with massive ratings, she had produced a lot of “trash TV,” showcasing negativity and the lesser sides of people. She had read author Gary Zukav’s 1989 book “The Seat of the Soul,” and his message about living with intention resonated powerfully (it remains her favourite book). From that point forward, every episode had to be what Winfrey deemed “a force for good.” This included exploring topics like spirituality, self-actualization, and how to best raise children. There was initially a dip in ratings, from a daily audience of around 13 million to nine million, but Winfrey refused to chase what rising competitors were doing, or to revert to the scandalous material that was still drawing viewers elsewhere. 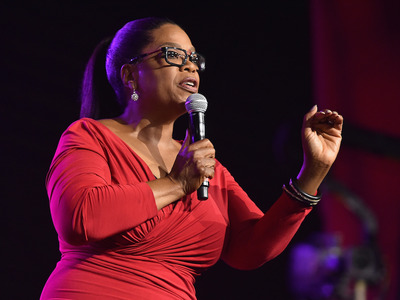 Winfrey’s team continued to refine the new “live your best life” format, and it would go on to be the foundation for Winfrey’s entire career, even beyond the series, which ended in 2011.